The Simon Says Stamp Splash of Color release is now LIVE! YAY!!!! SO many fabulous new goodies in this release! I am particularly excited about the new ink colors! It really is a fantastic collection of inks. And yes, I am an ink whore. Of this I am aware, but for reals, you guys... Simon inks are definitely some of my most used inks. They are fantastic! Heidi and her crew kindly sent me some new stamps, dies, and an ink pad to play with and I am loving them! 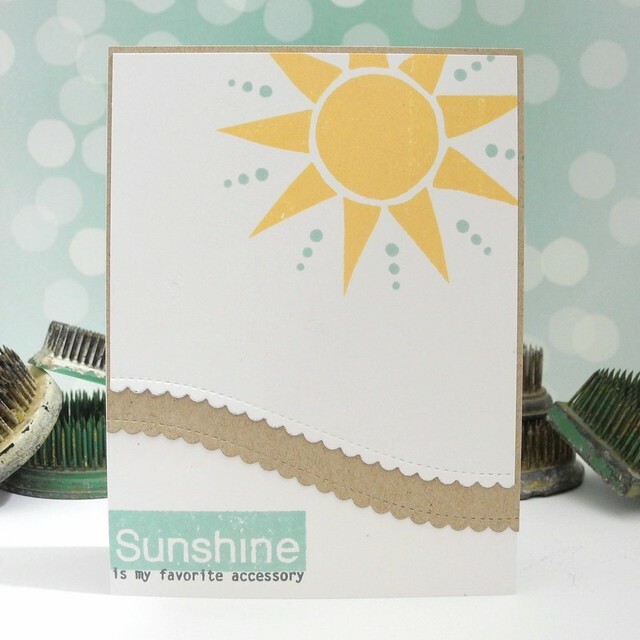 I combined the new Happy Block Greetings stamp set and the brand new Scallop Stitches Dies along with another stamp set from the Color of Fun release to create this summer time inspired card! I love this sentiment! Isn't THAT the truth, though? For reals. That gorgeous teal/aqua-whatever-you-want-to-call-it ink color is called Lake Shores and it really is a fantastic tone. I love it! I combined it with the Simon Says Stamp Duckling and Slate. I really do love great ink. I just can't even help it. All of the links you find in this post are affiliate links, and as usual, your support is always appreciated. All artwork and opinions are my own! NOW... GO SHOPPING, DUDE! For reals! This is a GOOD one! Also, just a reminder: You can find me on Facebook, Instagram, Twitter, and Pinterest! Such a fun card!! 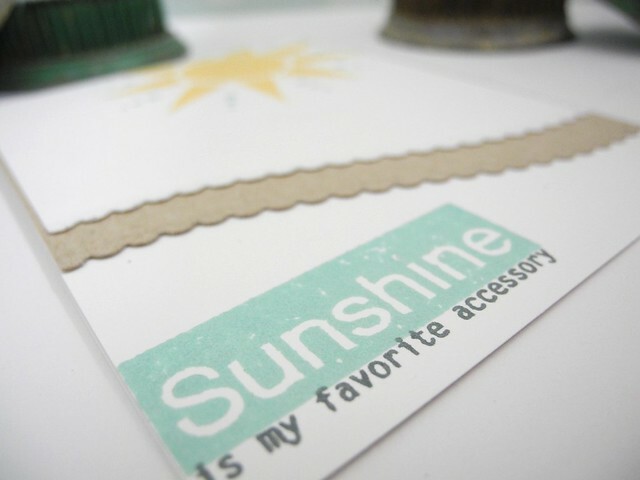 Love the way you showcased the new border die, I think that'll have to be a must-have!